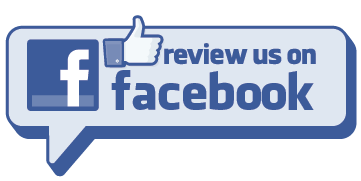 If you enjoyed your experience with us, please select one or more of the review sites below, and tell us about it! We appreciate your feedback. Your cottage is wonderful! We have had such a great visit. We hope to return next near mid October. The mountains must be beautiful that time of year. Thank you for letting us use your "second home! We stayed in Mt. Mitcehll 1 last July. This place is gorgeous and such a beautiful retreat. We've certainly had lots to do to keep us busy, too. We hiked to the top of Mt. Mitchell, tried zip lining, found the amazing Roaring Fork Falls, went white water rafting down the French Broad River, spent a full day at the Biltmore and even had time to relax/play at the pool. The kids took advantage of the nice shuffle board court and movies. We enjoyed a couple meals out on the huge deck - what a view! Thank you for sharing this special place with us. It has truly been a vaction like no other. Thank you for sharing your beautiful chalet with us. It was a perfect way to spend our first Anniversary! We hiked Roaring Fork and Crabree Falls, the views were breathtaking. We spent a day at the pool, sat by the fire pit on the pool deck and enjoyed the stars. We went to Asheville to the Biltmore and did the tour, then a wine tasting. It was a perfect day. We had a great week! Thank you the use of your beautiful piece of paradise. We stayed a couple of years ago. We loved the cottage and had a great time. Everything was great in the cottage. Loved sitting out on the back porch and loved watching the hummingbirds. We stayed in Mt. Mitchell II last September. The view off the back deck MADE OUR TRIP! We LOVE your cabin. We didn't want to leave. The views here are so relaxing. THANKS AGAIN !!!! We came for the Fall colors and to tour Western NC. We LOVE everything about this hidden gem. The owners have gone so far above and beyond in the effort to make this a beautiful home away from home. The location is perfect. We made several day trips and at the end of the day were so excited to walk through this cabin's door!. The views are pristine, every comfort of home, beautifully decorated. We have been enjoying grilling out with the fully stocked kitchen. AMAZING is the only word to describe this cabin. Thank you so much for allowing us the privilege of staying here. We DID NOT want to leave! Mt. Mitchell II was a fantastic getaway for our family of six. The cottage was beautifully decorated and CLEAN! It was furnished with everything we needed just like our home. Alpine Village is a hidden gem. We loved all the amenities that we were able to access. It was great that hiking was within a few minutes drive. Our family had a wonderful time! We stayed in Mount Mitchell II. The cottage was beautiful, and had all of the amenities we needed. 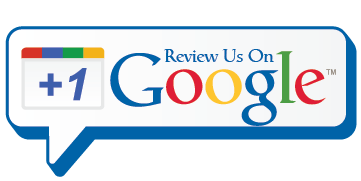 The staff was extremely helpful and accommodating. We hiked to Roaring Fork and saw the beautiful waterfall, and spent a day at the Biltmore House. The heated pool was perfect for the kids, and the whole place was well taken care of. The view was BREATHTAKING! We had an amazing week! Mt. Mitchell II We had a wonderful stay in your cottage! Kids loved the pool, we loved the view. Very convenient to the Blue Ridge Parkway, numerous waterfalls & Black Mountain Campground. We enjoyed the quiet here at the cabin. We hope to come back in the not to distant future! Thank you for sharing your beautiful cottage! We were certainly delighted with the cozy, relaxing atmosphere of our vacation cottage, Mt. Mitchell II, thank you!! The views from the front and back decks were our favorite part of your cottage. What a perfect spot - close to the pool, shuffle board (grandkids loved the "new game") and best ever access to the Blue Ridge Parkway! We had a wonderful week. We hope to be back next year for longer. We stayed at Mt Mitchell 1 Cottage for a month and could not have been happier! The cottage has been upgraded and shows like a model. Our hosts, Brenda and Richard are great people and ready to help if you have any issues. The complex itselfs is scenic, quiet and well maintained. I loved the pool! I swam at least once a day, if not twice. The club house is very well appointed and there are lots of things for the kids to do. If you have not been to the North Carolina Mountains, this is the perfect place to stay. Close to the Blue RIdge Parkway, tons of trails and great waterfalls. We will be returning! Thank you for a beautiful peaceful week in Mt. Mitchell II. We had a great time hiking, sightseeing, and enjoying ALL the views! We loved Roaring Fork Falls, Setrock Falls and the firepit at the pool. We took day trips to Blowing Rock, Asheville *The Biltmore was fantastic!) and Chimney Rock. Our boys, 14 and 12 enjoyed all of it and this trip provided lots of new memories for our family! The cabin was stocked perfectly. Thank you again for sharing your cabin with our family! Thank you for this lovely home, Mt. Mitchell 1. We wish we had more time to enjoy the beautiful mountains and scenery. The views are fantastic! We had a wonderful time at your cottage and so appreciate you letting us rent your place. Everything was perfect and the views are awesome. We plan to come back! We really enjoyed our stay in Mt. Mitchell 1. The furnishings were lovely and recently updated, and the back deck is glorious with fabulous views and a lot of privacy. The location is a hiker's dream - centrally located to so many great hiking trails within a 30 to 60 minute drive. Brenda stopped by to say hello and was so friendly and easy to work with when securing the reservations. We will definitely return! Thank you for the wonderful stay . We definitely enjoyed your home. It was so comfy, we loved the pool and all of the hiking trails. The scenery was amazingII . We would love to come again! Thanks so much. Mt. Mitchell 2 Very clean and comfortable. Loved the location. Beautiful views! This place is breathtaking! Thank you so much for sharing with us! The cottage is spectacular! Visited most of the water falls in the area. Loved them! Had dinner at the Golf Course Restaurant - the Salmon and the raspberry pie were delicious! Hope to be back one day. This was the best place to stay. Very clean and great view.